. One Last Bet NJ has been sold to a talented young rider, it will be exciting to watch him progress – Bill thinks he’s a ‘big-time’ horse and would rather have been able to hang on to him.
. 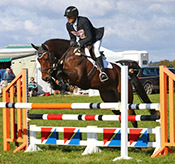 Mighty Tara was produced up to 1* level before being sold at the end of the 2017 season to a young rider to pursue her eventing career.
. Ballytarsna Colonel Guy progressed from BE90 to novice level in 2017, now sold to a new UK rider.
. Itz Chinatown and Ballinamurra de Valera were produced to novice level for owner Philip Adkins who has now taken over the reins.
. Detroit is a lovely novice horse who we have sold to California USA.
. Silver Night Lady, produced to Intermediate level and sold to the US to join Finn. 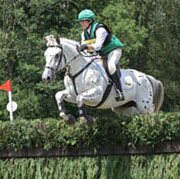 She came from Ireland and was a joy to produce.
. Major Diamond Flight, an ex working stallion, started his eventing career in 2012 with Bill. 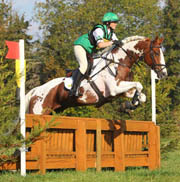 Produced to Novice level.
. One Two Many NJ, bought as a 4 year old and produced to three star level. 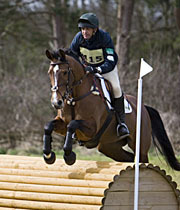 Winner of Hartpury 3* 2011. 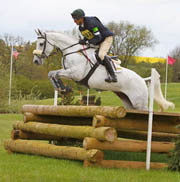 Placed on the Australian Elite Squad, Coco was named as a reserve for the 2012 Olympic Squad before picking up a minor injury which ruled him out of contention.
. Quick Decision NJ, produced to Novice level and sold to a competitive young rider in the UK at the end of his first season of eventing (2012).
. Out of Touch II, produced to two star level, placing 10th at Houghton Hall in 2012. 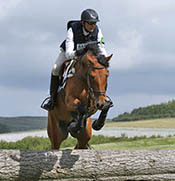 · Venture Capital NJ, produced to Intermediate level and sold to a professional, placed top 5 at Blair 2 star and top 20 Boekelo 3 star 2011. 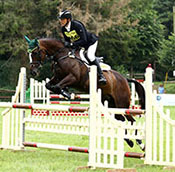 · Miracle Contender NJ, produced to two star level and sold to give amateur experience and take them up through the grades.
. Uplala, produced to Intermediate level and sold to Norway, to a professional rider. 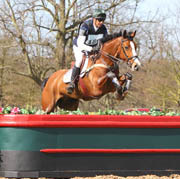 · Goodwins Reef, produced to Advanced and sold on behalf of a client to a fellow professional as back up horse for 2012. 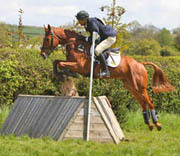 · Time For Fun NJ, found as a three year old and produced to Novice level, sold to France. 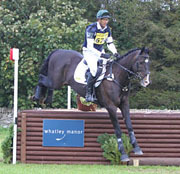 · Headhunter NJ & Bounce Back NJ, sourced in Ireland, produced to Novice and sold to USA. 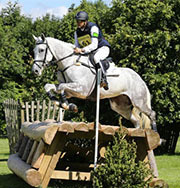 · Blueberry NJ and Mr Mackenzie NJ were both successfully competed by Jenny. Due to a combination of work commitments and building work at Little Charingworth, they were sold on to local competitive amateurs to continue their careers.